People tend to resist change as the perceived risk of the unknown can result in us holding on to the status quo, no matter how positive the future may be – or how bad things might be now! Our half day interactive workshop can be designed to work as a ‘stand-alone’ development opportunity, or one that can be followed by one of our fantastic events. We use a tried and tested framework to create a workshop that will meet your needs. We never use ‘off the shelf’ content as we always prefer to talk with you to understand what you want to make better – and why. For this topic, we will ask you about your existing culture, to support the design of your unique session. This makes it much more likely that the context will be understood by everyone and that the learning will stick. 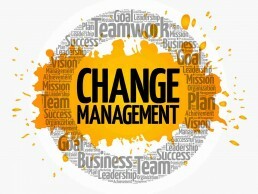 How can a change management workshop benefit my team?